Learning Chinese from Teacher Shen is a set of instructional materials designed specifically for K-3 Chinese immersion program oversea. 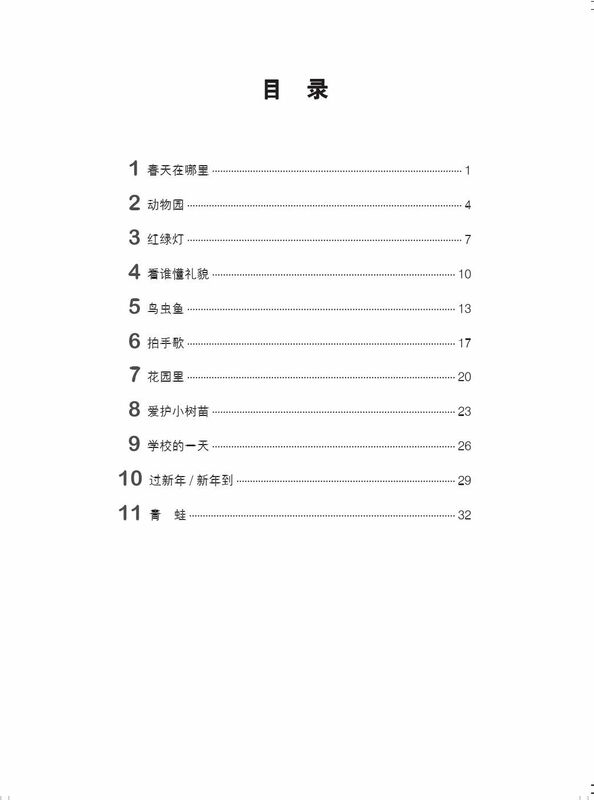 Using Rhyme to Learn Chinese is in novel and intuitive manner, and this set has altogether 12 volumes. For each song’s teaching, Teaching Suggestions designed four teaching activities, each of which lasts 30 to 50 minutes. Four in-class activities actively engage K-3 students. Each rhyme is accompanied with four custom-designed in-class activities focused on four different phases of learning. The first activity will help students learn new words, vocabularies and sentences. The second introduces and practices the rhyme. The third aims at retention and comprehension. 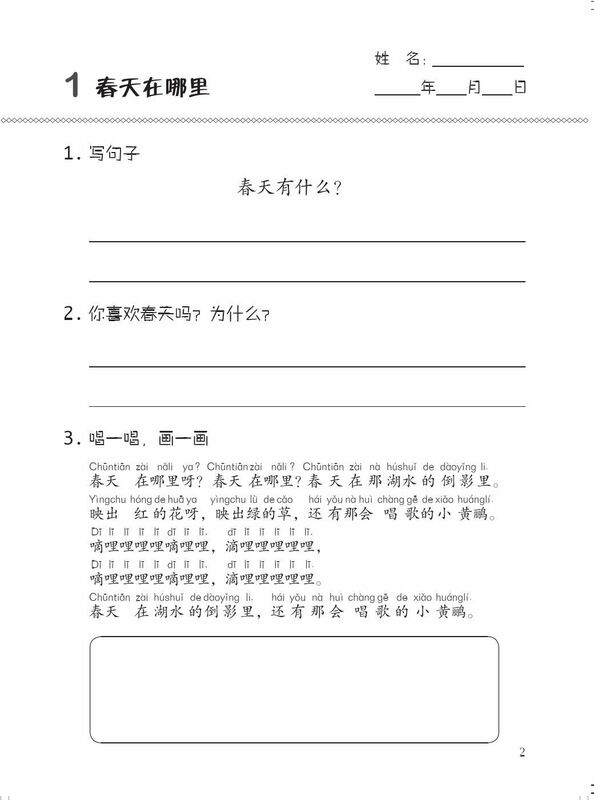 The forth one based on homework sheet is designed for assessment. 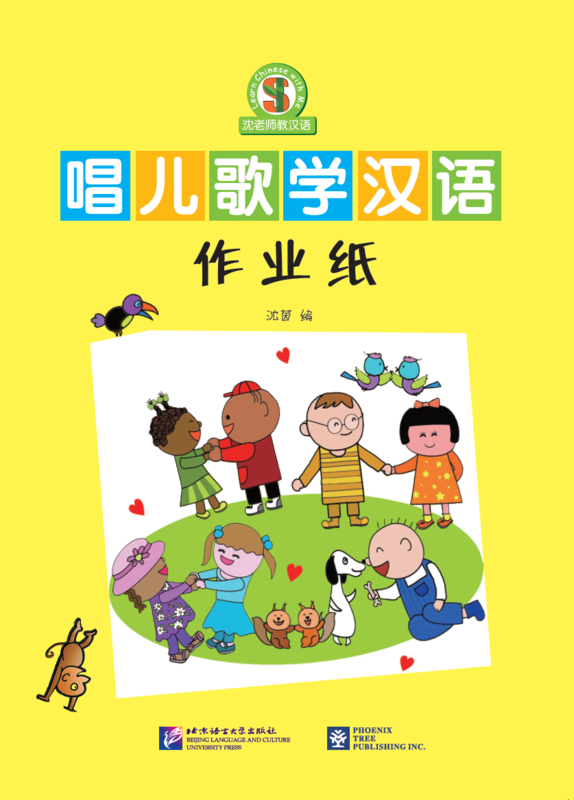 The book is the corresponding homework sheet of Using Rhyme to Learn Chinese, providing Chinese characters, writing and other aspects of the practice. 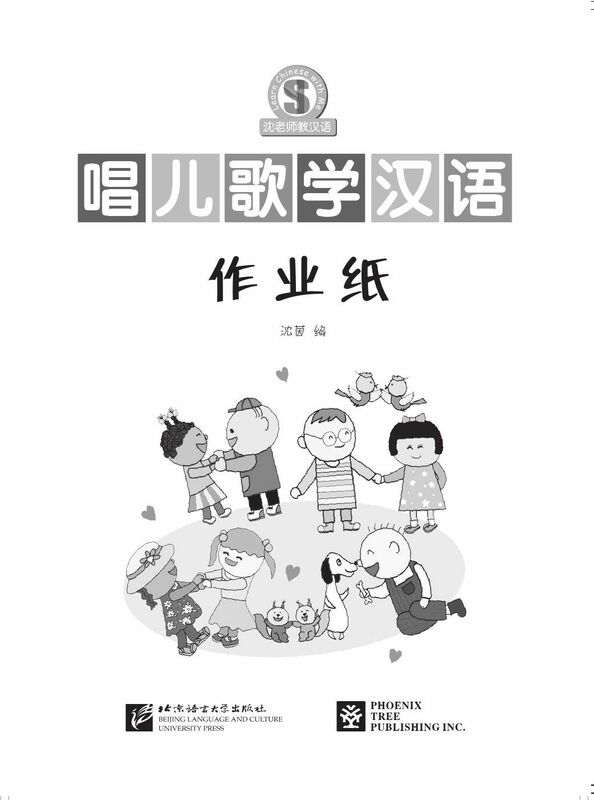 The titles of 12 books are as follow: New Year; The Zoo; School Day; Love and Protect Trees; Traffic Light; Birds, Insects, Fish; Clapping Song; Garden; Where Is Spring; Frog; See Who Is Polite and New Year Is Here. Yin Shen, a teacher at Woodstock Elementary, teaches kindergartener or elementary students learning Chinese. She is also the immersion program founder in this area. Qin Ye is a professional painter with a cute drawing style.